As the largest city in Canada, Toronto’s got a terrific choice of romantic spots, fun activities for couples, and some great restaurants. 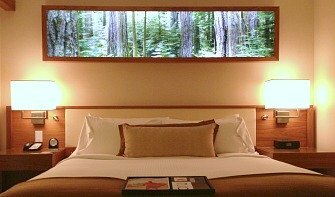 This section includes information on romantic hotels in Toronto and the GTA (Greater Toronto Area), honeymoon and romance packages, as well as what to do on weekend getaways in Toronto and near the city in places like Niagara-on-the-Lake and London, ON. 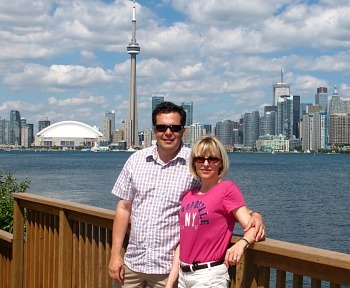 The Best Time to Visit Toronto: that would be between the warm months of May and September. Autumn brings cooler temps, but also some brilliant fall colors throughout much of the GTA and Southern Ontario. 1. Take the Ferry to Toronto Islands – this car-free chain of islands off the downtown waterfront offer Tram tours, bike and boat rentals, scenic views of the city, and some of the most romantic picnic spots in Toronto. And all just a 15 minute ferry ride away. 2. 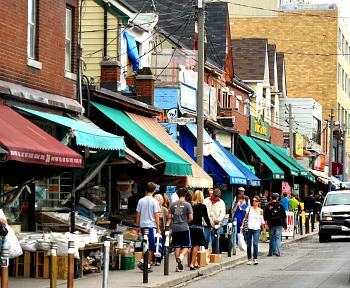 Explore Kensington Market– fascinating mix of eclectic shops, fruit and vegetable stands (great fun on a Pedestrian Sunday, held on selected weekends in the summer). THE place for finding some gourmet cheese, rolls and wine for your summertime picnic. 3. 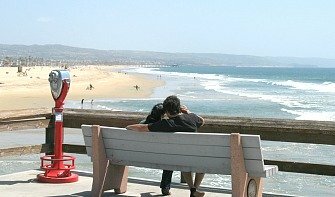 Enjoy A Night on The Town in Little Italy – soak up the potpourri of delicious aromas and live music as you sip a cappuccino from one of the areas restaurants or coffee bars. 4. Check out the Drake Hotel - most hotels are lucky to have 1 romantic dining area. The Drake has several! The Sky Lounge is a great spot for rooftop eats along with gazing at the stars at night (stargazing in downtown Toronto - really???). 6. Ride the Pedal Boats at Ontario Place – a chance to be a kid again! Especially fun on a on a nice summer day on Lake Ontario. There’s an IMAX theatre and Soak City Water park too. 7. Walk Around Cabbagetown – we enjoyed a relaxing and interesting walking tour here admiring the history and restored Victorian homes of this heritage area. 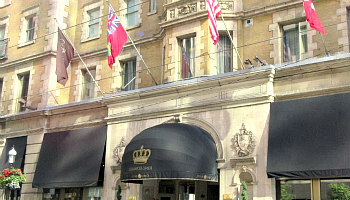 Toronto Air & Hotel Packages, Romantic Rooms for Less, Restaurants, Spas and more. 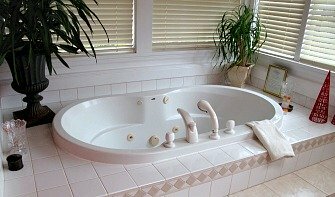 Monte Carlo Markham Romance Packages - they actually have 3 packages, but we'd say your honeymoon anniversary in Toronto deserves the full treatment: their "Romantic Dinner & Hot Tub Suite" package that includes, besides the obvious, wine and appetizers, strawberries & cream, breakfast the following morning and a late check out. 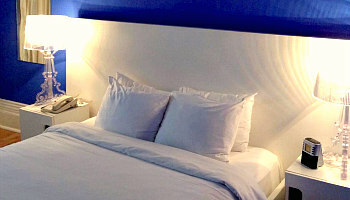 Trump Hotel Toronto Urban Romance Package - champagne & roses, gourmet chocolates, a spa credit worth $200 at their Quartz Crystal Spa, and a 2 PM next day checkout time. 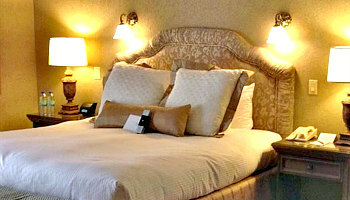 Fairmont Royal York Romance - arrival gifts include sparkling wine & chocolates, "Love" (a deluxe coffee table book of romantic photography), breakfast in bed and late check out. 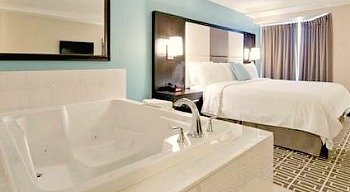 See our selection of hotel rooms and suites with Whirlpool Tubs in Southern Ontario. Romantic & affordable! Our guide on where to find great couples vacations in Ontario, including Cottage Country, Niagara-on-the-Lake, London ON and more. Casa Loma Castle - An enchanted castle set amidst 5 acres of manicured gardens. Don't miss the memorable views from the top of the stairs in the tower. The landscape and setting of this estate are beautiful, and a popular location for weddings in Toronto. Top of the CN Tower – This landmark has the reputation for being the best place to propose in Toronto! Certainly one of the most romantic and best views of the city. Besides the observation level, you’ll find the only revolving restaurant in Toronto, 360. The Roof Lounge at the Park Hyatt Hotel - Stop by the 18th floor of the Hyatt for a drink in the evening, and you'll be treated to a very romantic panorama of the sun setting on the twinkling lights of the city below. The oversized fireplace adds to the intimate atmosphere. Romantic Dinner Cruise in Toronto - Mariposa Cruises (416-203-0178) have regular Toronto Harbourfront dinner cruises, with special theme nights, fireworks cruises, and private charters available. Day Trip to Stratford - picturesque Stratford, Ontario is a fitting tribute to its counterpart in England. You'll discover Victorian architecture, the beautiful Avon River and it's swans, and Botanical Gardens that look like they were taken right from the English countryside. Day Trip to Niagara Falls/Niagara-on-the-Lake - there is much that couples can see and experience on the Niagara Peninsula. 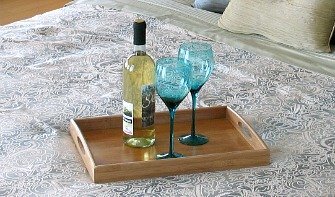 If the summertime crowds at the Falls are too much, escape to romantic Niagara-on-the-Lake, with it's wide choice of bed and breakfast accommodation, wine tours, dining options and just good ol' relaxing by Lake Ontario.